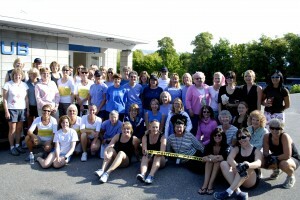 This year the Women’s series will start off with a Meet & Greet on April 23 at 7 pm at the clubhouse. 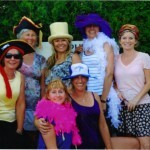 If you are interested in joining us, please attend. 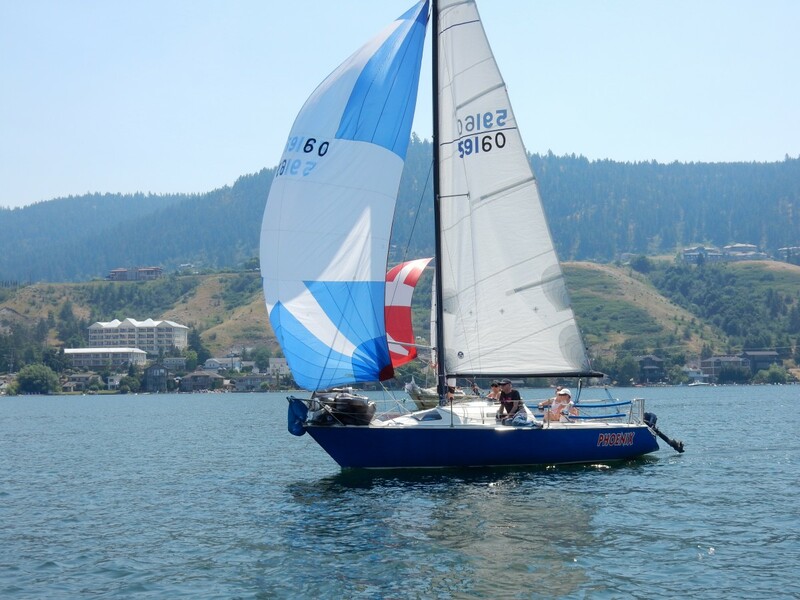 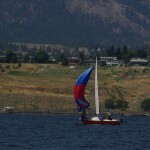 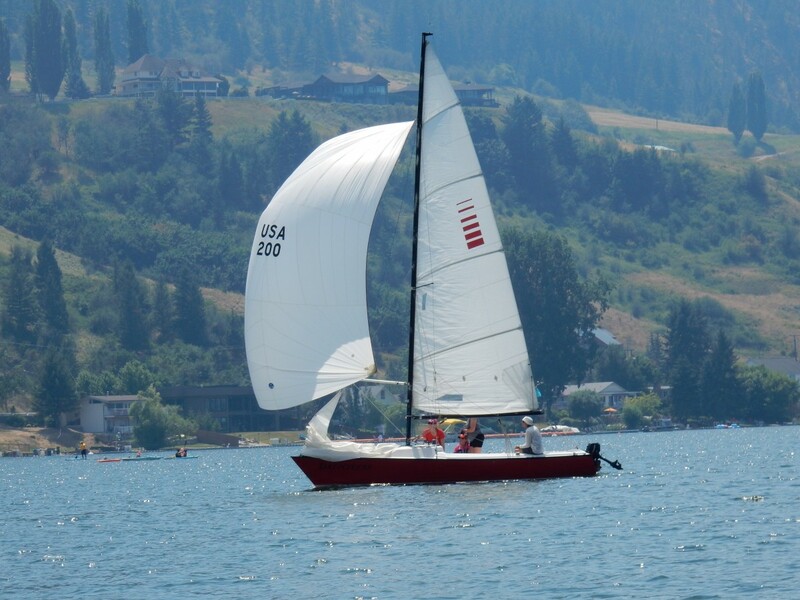 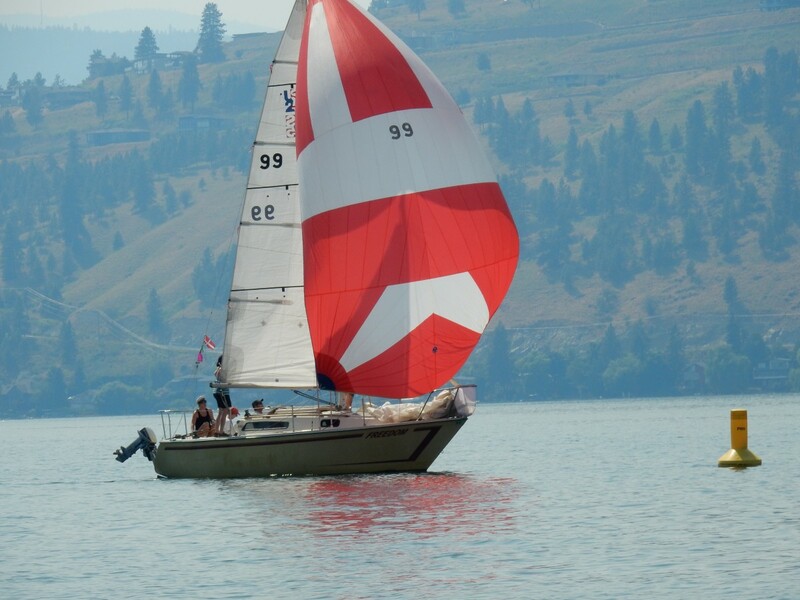 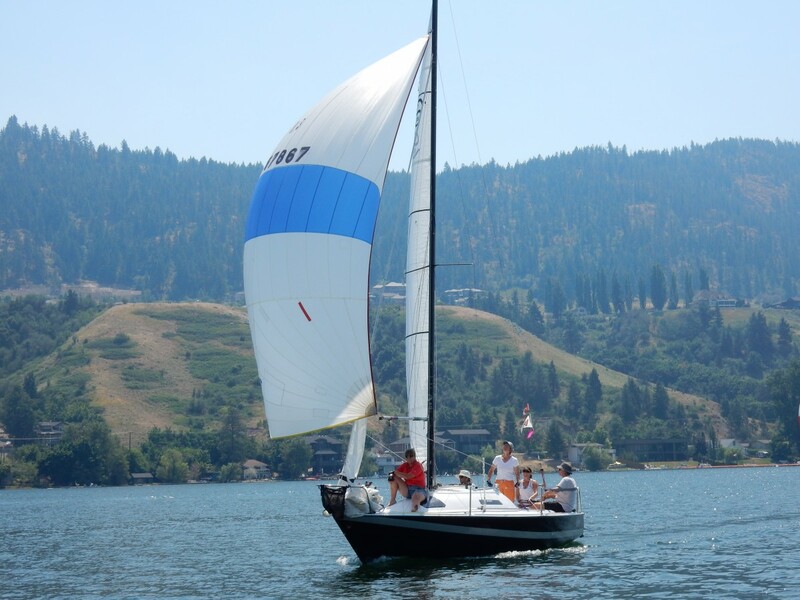 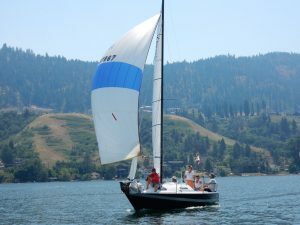 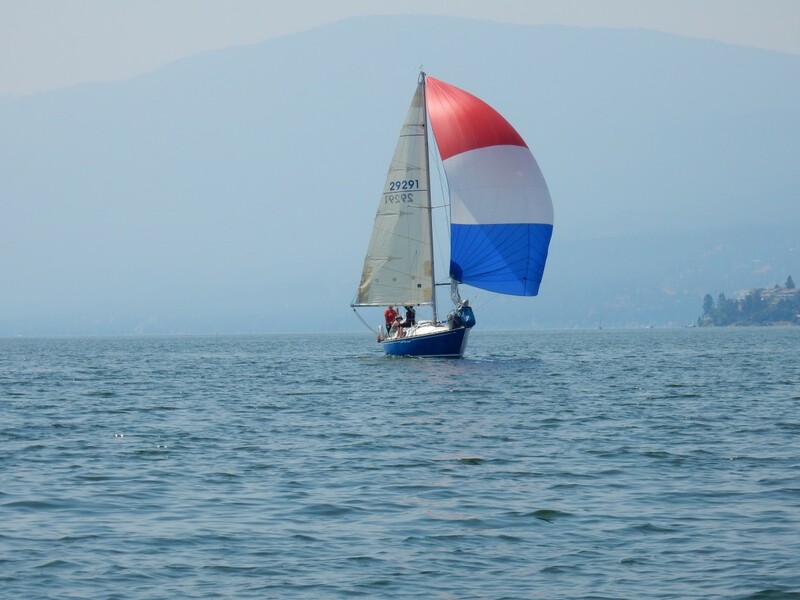 History: In 2007 the Kelowna Yacht club hosted the Canadian National Keelboat Regatta. 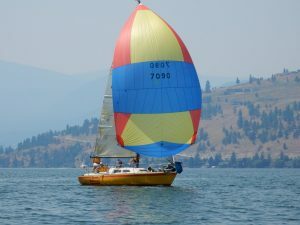 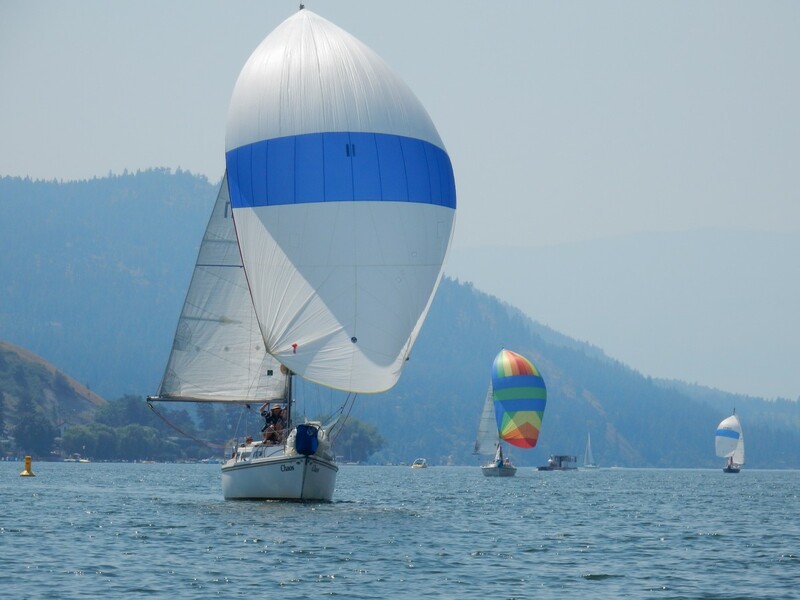 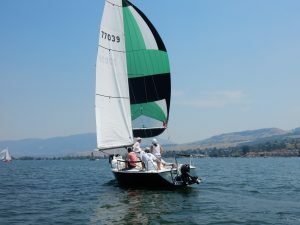 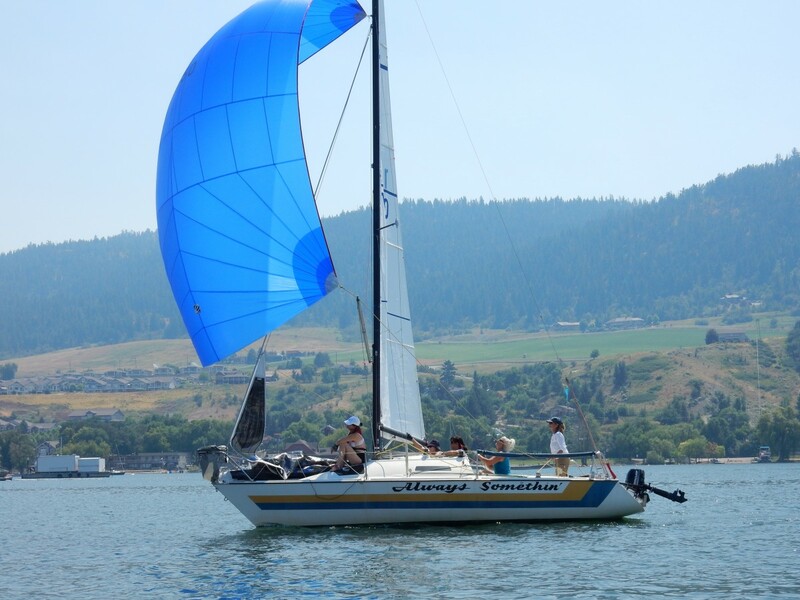 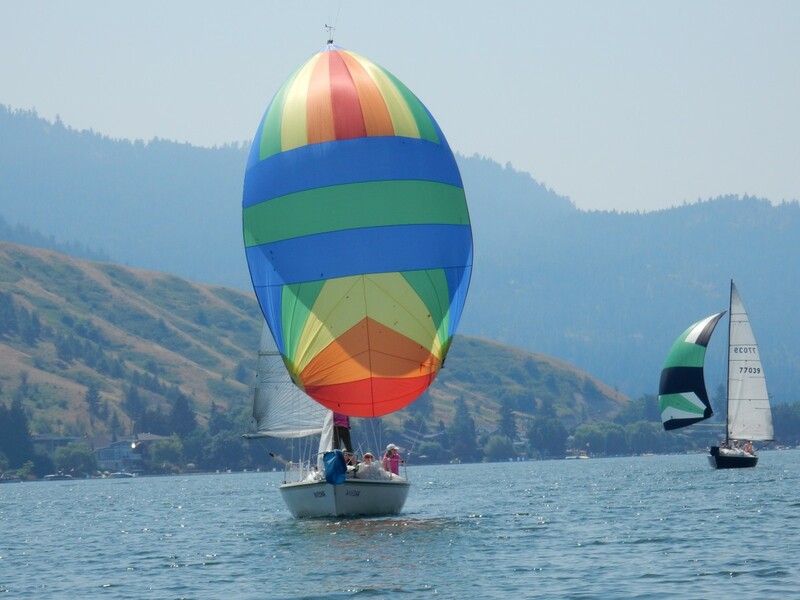 The support for the sport was so overwhelming that it was decided to hold a women’s only regatta annually in the Okanagan Valley and that was the start of the women’s sailboat racing in this area. 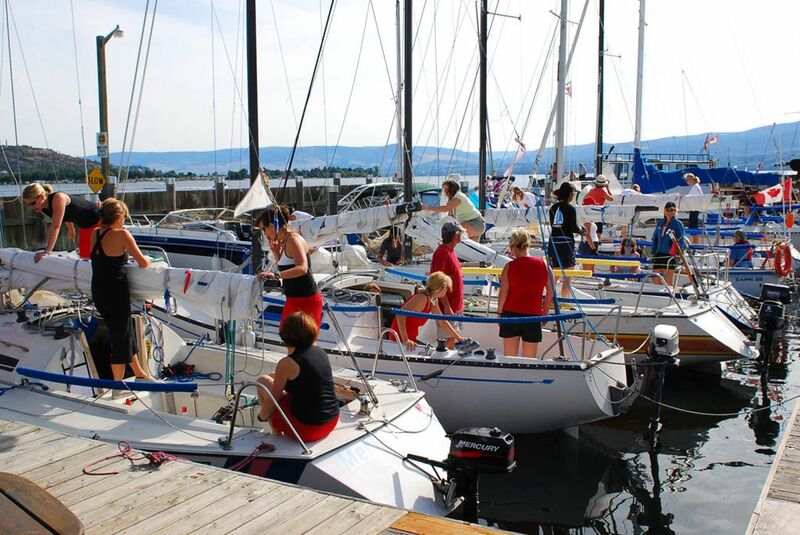 During May and June, women sailors race weekly at their receptive clubs to hone their skills and have FUN! 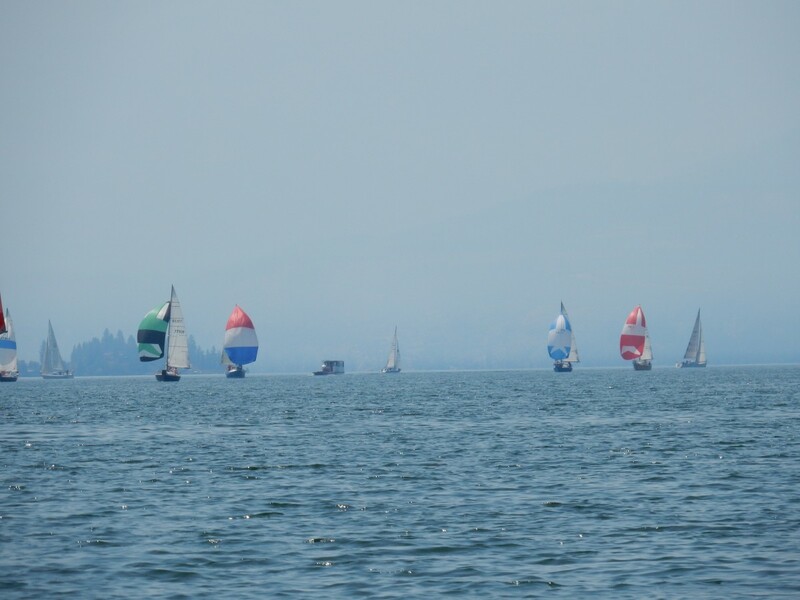 Then we meet at the regatta to test our skills. 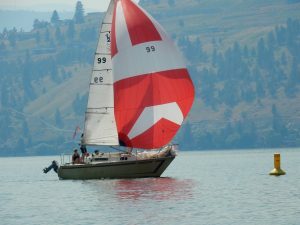 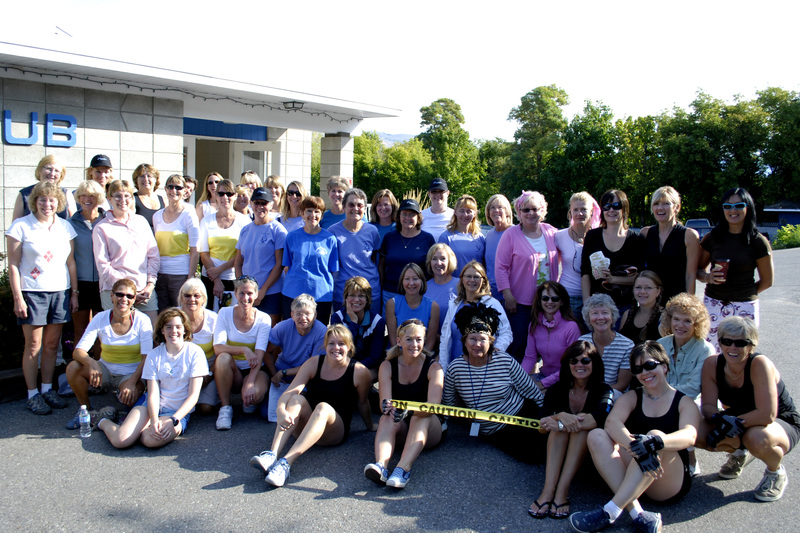 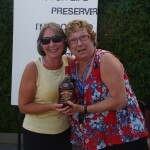 Vernon Yacht Club held the first Okanagan Women’s Regatta in 2008, hosted it again in 2011 and July 2017. 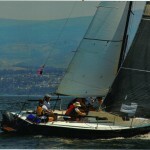 We have two fleets – mentored/coached and non-mentored/non coached. 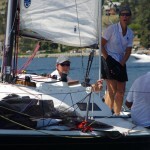 In the non coached fleet, only women are on board. 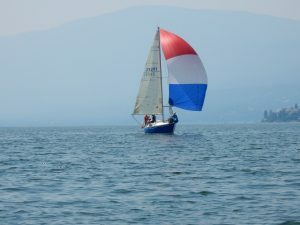 In the coached fleet, there is a coach aboard (male or female) BUT the coach cannot touch anything unless it is an emergency. 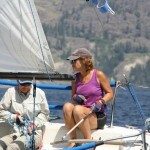 The coach gives advice, instruction and verbal help BUT does not trim, adjust, etc. 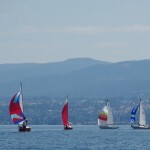 Currently we have six boats – 4 coached and 2 non-coached – and we always are looking to increase our numbers. 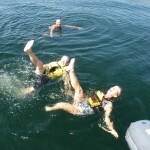 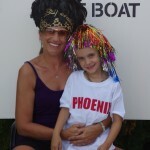 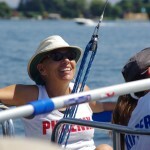 If you are interested in joining us and have a boat, welcome – we will help you put a team together. 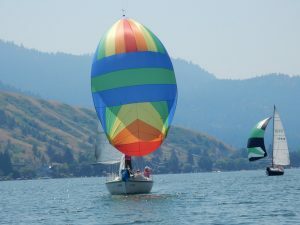 If you are interested and do not have a boat, we will put you on the list along with your qualifications. 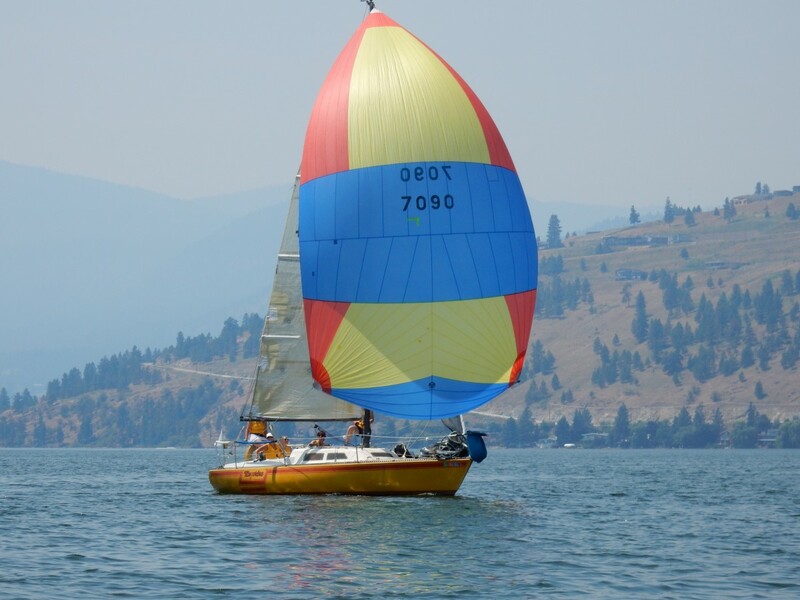 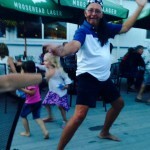 This list is then circulated to the boats and if they have an opening, you may get a call. We are always looking for spares, so don’t despair if you are not invited to join a team right away, we may give you a call to fill in for a night and that might lead to a permanent position. 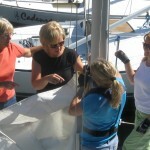 Making a bowline in the main halyard. 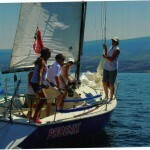 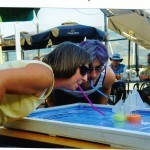 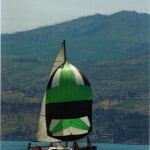 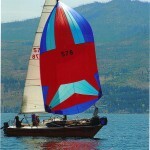 In 2007, the Canadian Yachting Association held the Canadian Women Keelboat Championship at Kelowna Yacht Club. 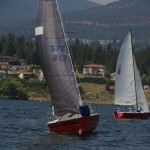 The women of VYC became involved and practiced intently until six boats were ready to compete in a field of 22 boats. 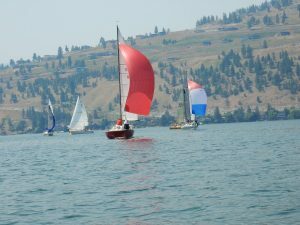 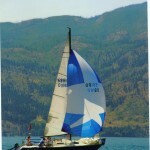 Although Vernon sailors didn’t make the top three positions, the event ignited a desire within the women of the Okanagan to continue to foster this competitive fever so it was decided that VYC would hold the first Annual Okanagan Women’s Regatta in the summer of 2008. 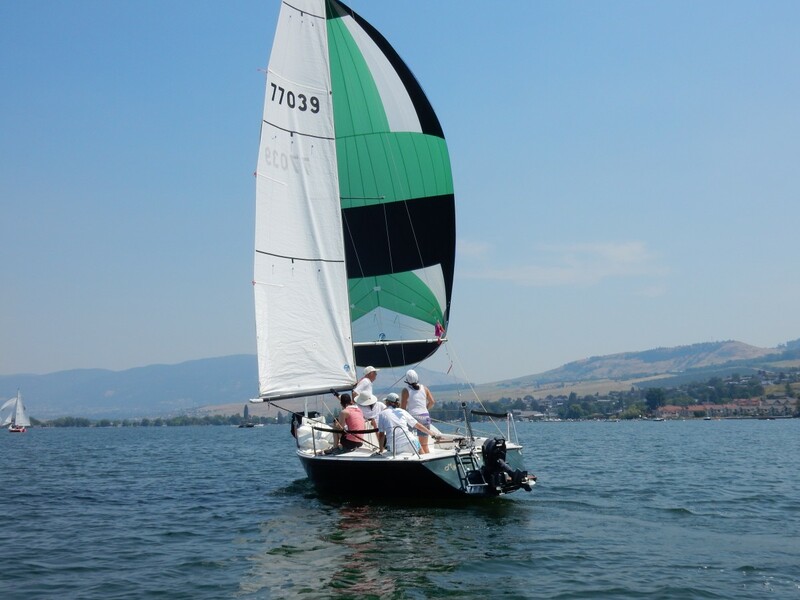 After that the event moved to West Kelowna, Penticton and Summerland before finding a permanent home at the West Kelowna Yacht Club. Interest in racing dwindled in Vernon but this past year, we were able to rekindle the fever for the 2015 OWR. 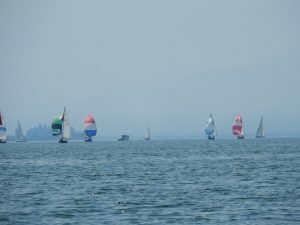 In 2017, the regatta was again moved to Vernon then KYC in 2018 but rumor has it, it will be returning to WKYC in 2019.